Fengshui literally means wind and water in Chinese. Contrary to many misconceptions, Fengshui is neither a religion nor a superstition. Instead, Fengshui is classified under the study of Physiognomy - one of the five Chinese Arts known collectively as Chinese Metaphysics. Physiognomy refers to the observation of appearance through formulas and calculations in order to assess the potential outcome of a person in relation to his living environment. ​Fengshui is a metaphysical science which one learns to recognize and harness Qi (cosmic energies) naturally present in the living environment to help specific aspects of our everyday lives. Fengshui is a method of assessing and improving the quality of one's life through observations and analysis of his/her living environment. It represents a third of the Cosmic Factor that influences one's life, the other two being the Destiny and the Human factor. GRAND MASTER JUSTIN NEO ZHEN JUE’s forefathers were well-known Fengshui Master. His expertise was inherited down the generations and he is the 6th generation to inherit his forefather’s expertise. In 1993, GRAND MASTER NEO inherited his family business in geomancy. He believes in discarding old traditions and uses modern ways to infuse liveliness into the Art of Fengshui with the aim to harmonies the living environment and the wisdom of people. Hence, we have Modern Fengshui. Using Fengshui to enhance the lives of people was MASTER NEO’s objective. He never ceases to pursue knowledge in this age of new technology. He constantly upgrades himself culturally and intellectually by frequently updating himself on modern fengshui case studies, linking them to the age-old fengshui theory whilst meeting the needs of modern people in the 21st century. GRAND MASTER NEO believes that knowledge is an endless pursue. 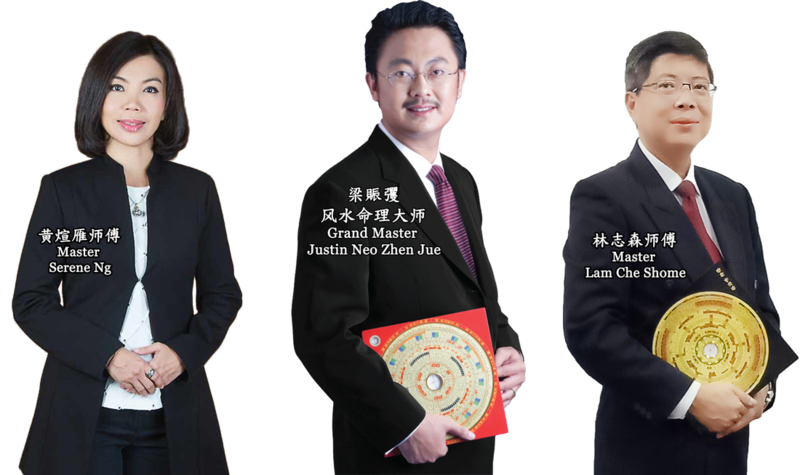 During these years of practices as a Geomancer, GRAND MASTER NEO strives to shift the paradigm associated with a traditional trade like Fengshui to achieve greater heights in his career.